1. Snap Circuits delves into electricity and magnetism like an expert. Learn how electricity and magnetism can be used to make each other. 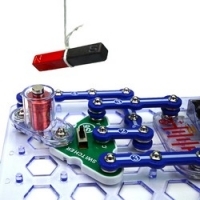 Discover magnetic fields and how the electricity in your home works. What about all those switches everywhere? 2. 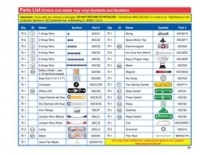 Learn how switches control electricity, the lights, and devices in your home. 3. Discover the difference between series and parallel circuits and how they affect electricity. 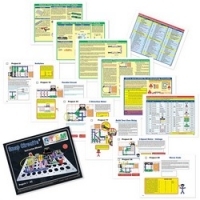 Snap Circuits will introduce you to an electrical meter, electromagnets, electric motor/generator, lamps, switches, a compass, and electrodes. 4. Plus have fun learning how and why these simple and not so simple devices operate function. All components are mounted in plastic modules and snap together with ease. 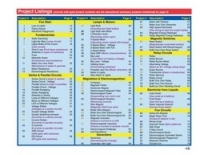 Enjoy hours of educational fun while learning about electronics and building analytical and problem solving skills. 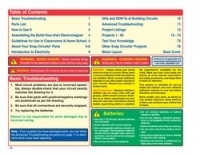 Instruction manual includes the basic do's and don'ts of electricity and electronics. 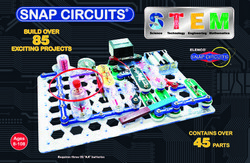 Contains more than 45 Snap Circuits modules and full-color project guide. 3 AA batteries needed but not included. For ages 8 & up. No tools required.